Searching for a wedding stationery pack that has a classic yet sophisticated look? You have found it! 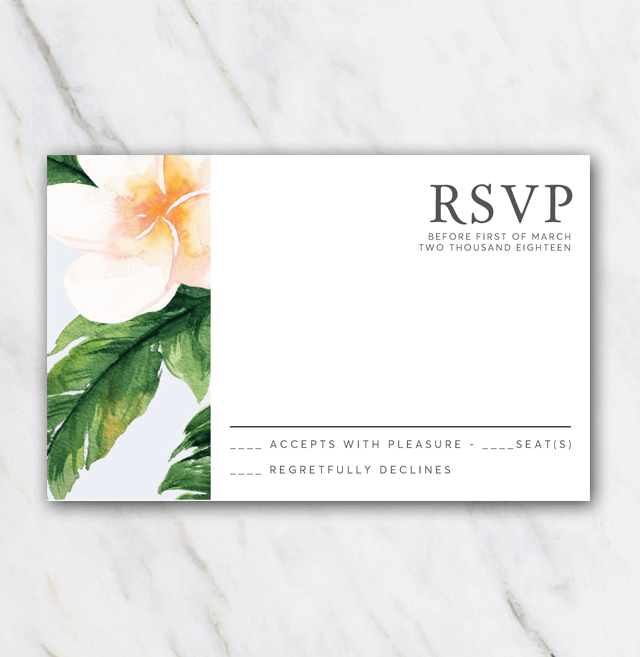 Check out this lovely wedding rsvp template with a lovely flower element on the left side. Check out the wedding invitation template and wedding save-the-date template in the same style. Not really your style? No worries, have a look at the other wedding rsvp templates.